Given a lot of recent discussion about the advent of the digital multi-channelling environment and the implications that it has for viewers, particularly outside the major metropolitan areas, it is interesting to see that two decades ago regional television was facing an earlier journey into a new era. In the 1980s the Federal Government devised a scheme that would give viewers in regional areas of the populated eastern states the same level of choice as their city counterparts. 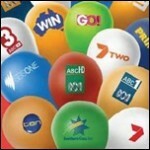 Up until then most regional areas in those states were served only by one local commercial channel and ABC while those in the capital cities were receiving ABC, SBS and three commercial channels. By the mid-‘80s there was a plan drawn up by the Government to give these regional markets access to three commercial channels instead of one. The plan was known as equalisation, achieved by the aggregation of multiple regional markets into one larger market. The scheme would also see the rollout of the second national broadcaster, SBS, into regional areas. At the time it was billed as the biggest change to Australian television since the introduction of colour. This expansion of regional operators into neighbouring markets posed a massive engineering and financial task as new studios, sales offices, news facilities and transmitter sites had to be installed and linked across the expanded market, and additional staff employed. Studio infrastructure also had to be upgraded to allow the playout of program and advertising content to multiple regions and to allow each region to insert their own content such as local news and advertising. Sales seminars were held to educate advertisers on the new competitive environment and promotional campaigns were setup to educate viewers on the new channels coming to their areas and how to tune in. 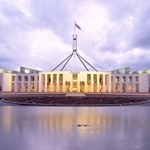 The first grouping of regional markets to enter into aggregation was in Southern New South Wales and Canberra – twenty years ago this month – where on 31 March 1989, Wollongong-based WIN expanded into Canberra. While Canberra’s Capital Television reciprocated and expanded into Wollongong. 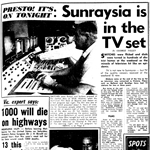 Prime Television, comprising of local channels in Orange, Dubbo and Wagga Wagga, commenced transmission in both Wollongong and Canberra markets. The aggregation of the local markets was completed on 30 December 1989 when WIN and Capital expanded into the Orange, Dubbo and Wagga Wagga markets previously served only by Prime. With this new competitive environment between WIN, Prime and Capital each of them were required to enter into an affiliate agreement with a metropolitan network for the supply of programs. 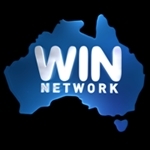 Prime had established ties with the Seven Network prior to aggregation, while WIN had aligned to the Nine Network. Capital Television had a direct link to the Ten Network as it was owned by businessman Kerry Stokes who also owned NEW10 Perth and ADS10 Adelaide. This new competitive situation also saw the regional stations expand their local news services. Capital Television expanded its one-hour Canberra-based news service to include Wollongong, while WIN and Prime set up Canberra news services. However the financial realities of these expansions eventually hit home and stations found themselves having to review or wind back some of their expansions. The implementation of aggregation saw viewers in these local areas maintain some loyalty to their former ‘solus’ broadcaster even though this was at odds with network ratings in the capital cities. For instance, Capital Television maintained a strong ratings presence in Canberra in the period following aggregation even though its parent network, Ten, was rating a distant third in the metropolitan markets. This loyalty was also due in part to the ‘solus’ broadcaster usually staying on the traditional VHF band while the new stations were utilising the newer UHF band which required some upgrading of television antennas and receivers. Although in Wollongong there was an exception as the local incumbent, WIN, and national broadcaster ABC were forced to vacate their local broadcast frequencies of channels 4 and 5A respectively, and move to the UHF band. This was due to the phasing out of television services from VHF Band II to make room for the growth of FM radio services which would use the same frequency range. But as time went on viewers’ habits gradually began to fall into line with general trends in the capital cities although when the first ratings survey of the Southern NSW/ACT aggregated market was released in early 1990, Prime was the leader followed by WIN and Capital. This was in contrast to the metropolitan markets where Nine dominated ahead of Seven.